MAKES FACES AT THE TABLE. Here's a chance for Junior to play with his food and exercise his creativity at the same time! So bring on the mashed potatoes and peas...the possibilities are endless! 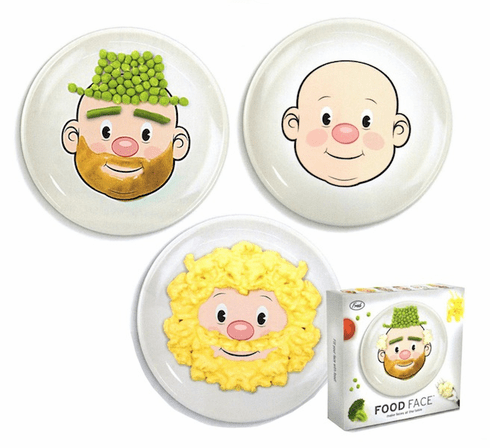 FOOD FACE is mid-size and crafted from hotel-quality, food-safe, high -fire ceramics. Wouldn't YOU have loved this when you were a kid?